Humid-Eze is the worry free disposable humidification system that is sure to keep your cigars in perfect condition. The next generation in cigar humidification, Humid-Eze is an all natural water based, chemical-free system protected by a unique patented membrane that will maintain a container's humidity at 70 percent without any complicated setup or monitoring. 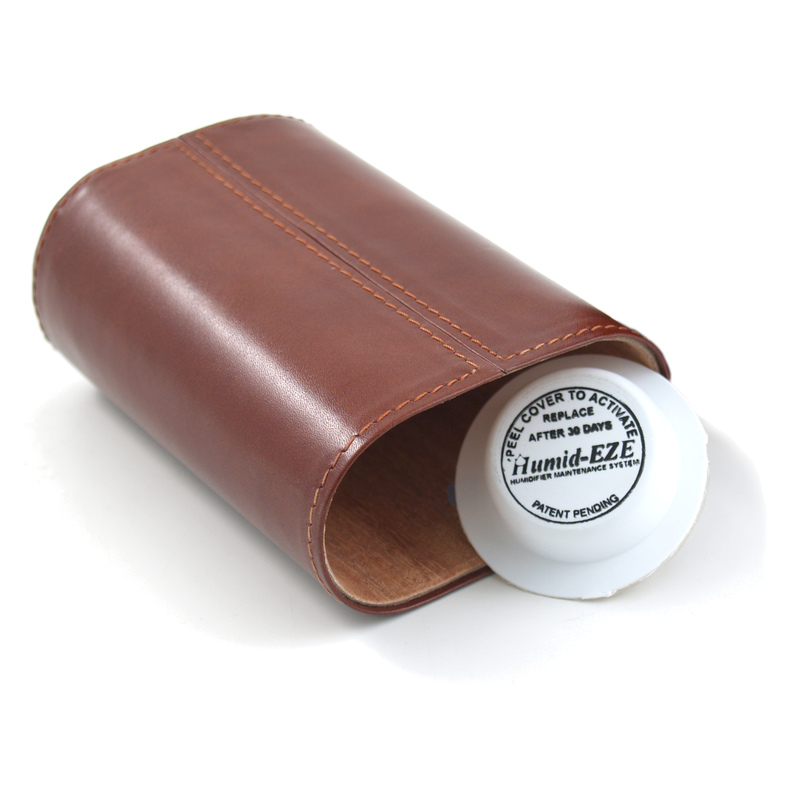 Eliminating bacteria and mildew, any sealed container becomes an instant humidor with these moisture cups. This highly advanced technology allows the proper amount of moisture without allowing any liquid to escape. Perfect for travel humidors, cigar jars as well as pipe tobacco, each unit will humidify approximately 25 cigars for up to 30 days. When the reservoir is empty, simply discard and replace with a new one. Best of all, these cups were made in the USA and comes in a packaging master box which is perfect for storage.